The United States is one the world’s largest importing countries. Although the European Union leads in global imports, the U.S. is ahead of all other nations, bringing in trillions of dollars worth of goods annually. For many states like Texas, Florida and Pennsylvania, fuel is the dominant import. Other states like California and New Jersey spend the most money on machinery and transportation imports. With over 80 percent of our annual imports arriving in the form of goods, customs brokerage services are invaluable resources for many businesses. We understand the complexities involved with receiving goods from international distributors. Though the process from sourcing and transportation to customs clearance and distribution can present unexpected and inconvenient obstacles, a customs broker can help your business minimize your overall expenses and avoid costly delays. Our customs brokerage service can manage customs costs, provide swift customs clearance, and streamline your supply chain. We have the knowledge and resources to make the customs process painless. The availability of diverse goods: Throughout the world, there are resources and raw materials that may be unique to a particular region, geography or culture. Engaging in trade allows your business to secure these resources and offer your customers products that were manufactured with components that cannot be made available by companies who solely use domestically-sourced materials. The availability of higher-quality and lower-priced goods: Having the option to source materials from a variety of suppliers allows you to thoroughly assess the quality of the goods. Some countries may manufacture higher-quality components and materials, allowing you to provide your customers with the best products possible. Other countries may simply have a greater access to certain resources which allows them to sell these materials at a lower price-point. Importing these goods can be a cost-effective way to source your materials. The potential to yield benefits via governmental trade agreements: Many countries promote the importation and exportation of their goods and services. This support can ultimately minimize risks throughout the shipping, distribution and customs processes. The trade agreements the United States has with global partners can also provide your business with unique benefits that streamline the importation process and lower your overall expenses. Customs brokers would be knowledgeable of all potential benefits a business could yield when trading with various nations. With the ability to engage in trade with nations throughout the globe, many businesses have increasingly greater access to unique resources and raw materials sourced from diverse regions. Companies can benefit from the importation of goods from foreign countries in a variety of ways. To ensure these imports are streamlined, these businesses often utilize customs brokers. 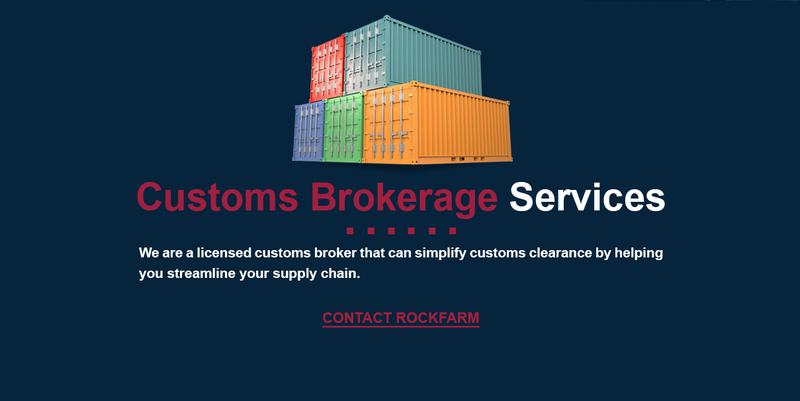 A customs broker or customs brokerage service is a third-party company that works with a business to ensure that their import shipments meet all of the requirements set forth by the United States Customs and Border Protection. They can operate as private individuals, a partnership, an association or a corporation. All customs brokers or custom brokerage services are regulated, licensed and empowered by the U.S. Customs and Border Protection (CBP) after obtaining licensure through the Customs Broker License Examination. Currently, there are 13,000 active and licensed customers brokers operating within our country. These individuals assist businesses with the customs process by submitting all official documents, payments and other information directly to the CPB. This position requires that the broker have a thorough knowledge of the current federal rules and regulations associated with import procedures, classification and valuation of goods, eligibility of admission into the country and all costs associated with the shipment. As any business owner would expect, transporting a shipment from the international country of origin to a United States port is much more complex than domestic distribution. One of the chief reasons why a business needs a reliable U.S. customs broker is because the customs brokerage process requires time and resources that the company may not possess or be willing to extend. A licensed customs broker can manage this process for you and ensure your shipment swiftly and legally receives customs clearance into the United States. 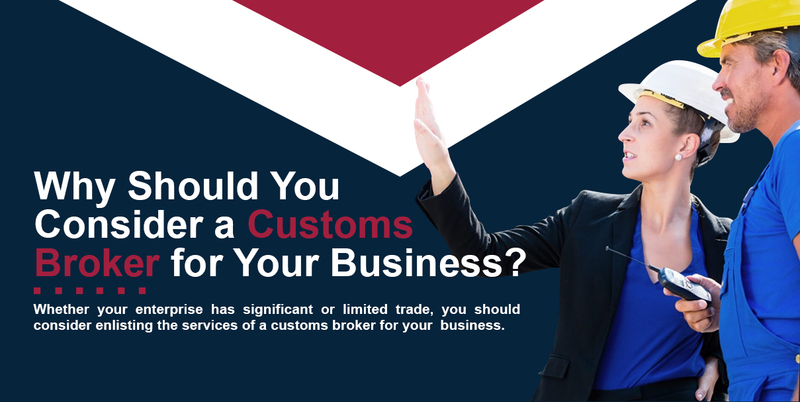 What Can Customs Brokers Do? It is not necessary for a business to hire a customs broker. A company can choose to manage the importation of their shipments themselves. However, it’s not uncommon for businesses to employ the help of a licensed customs broker. In fact, many companies trust these individuals to navigate the customs process for them. The broker will conduct CBP business for the importer and complete all required tasks such as finalizing paperwork and obtaining a CBP bond. Like various other roles in an organization, the duties assigned to a customs broker are vast. As a licensed broker, they are a third party who is responsible for ensuring a business follows all of the most current rules, regulations and laws put forth by the federal government. However, their role as an advocate of the business can be much more diverse. Customs brokerage services can be valuable resources to a company that imports goods or services because they possess a wealth of knowledge. First and foremost, customs brokers can provide a company with the advice and guidance they need to prevent or rectify problems that may present themselves during the customs process. All customs brokers are licensed, which means that they’ve been confirmed by the CBP to possess the knowledge and qualifications necessary to effectively and legally manage the customs process. This includes having knowledge of how goods are transported, how to interpret rules and regulations, and a detailed understanding of the aspects of global trade. These problems could result in the shipment provider being fined, penalized or forced to forfeit the goods. More importantly, if these goods are withheld at the United States border, it prevents the domestic company from receiving their shipment in a timely manner. A customs broker will communicate with all governmental agencies to confirm that all procedures, including documentation and import payments, are correctly followed. Along with documentation management, a customs broker will also manage the monetary aspects of the process. As a shipment makes its way into the United States, the CBP will assess it and the importer will be required to pay taxes, duties or tariffs. A customs broker will help a business determine if a reduced or special fee applies to these imported goods and will deliver payment of the charges to the government. This service typically includes a brokerage fee. Another financial responsibility of many customs brokerage services is the preparation and management of all customs costs. Brokers seek out ways in which the imported goods qualify for more affordable rates. They can help the company calculate the anticipated expenses for importing shipments. Not only does this help the company responsibly budget for these expenses, but also having accurate calculations will prevent mistakes from occurring that could potentially result in penalties or fees. Finally, a customs brokerage benefits businesses by absorbing other responsibilities directly related to imported goods. They manage both ends of the process, ensuring that the shipment passes a customs examination in a timely manner, confirms all compliance and regulation standards have been met and distributes the imported shipment to the client. In essence, a customs broker can prevent and solve problems throughout the customs process, allowing the company to continue conducting its business without delay. As your business continues to expand its foreign imports, a scalable supply chain is invaluable. Although many companies may not choose to use a third-party logistics company to help them enhance their workflow, there are plenty of reasons why you should still enlist the guidance of a customs broker when planning and managing your imported shipments. 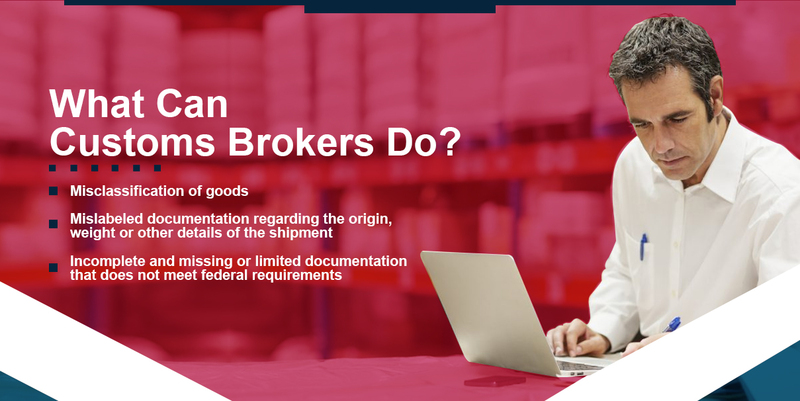 An effective broker will help clients streamline their supply chain, reduce shipping costs and increase the efficiency of getting their shipments through customs and into the hands of their customers. 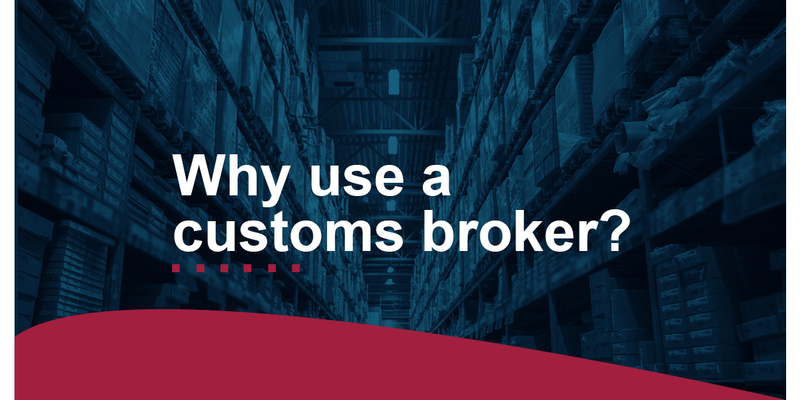 Why Should You Consider a Customs Broker for Your Business? Whether your enterprise has significant or limited international trade, you should consider hiring a customs broker for your business. These third parties will provide you with detailed advice and guide you toward your unique goals, and their knowledge and resources provide your business with a number of benefits. There are many advantages to hiring a customs brokerage service. They will help you throughout the customs process, ensuring your shipment successfully clears customs and is delivered to your facility or distribution site. At the end of the fiscal year, success can be defined by the net profit a company has earned. Because of this, many companies place a high priority on responsibly managing the cost of completing their daily business transactions. Though one important aspect of this cost is the expense of production and delivery, there are other unplanned expenditures that may present themselves during the delivery of goods across borders. Customs brokers will make you aware of these costly inconveniences. Customs brokerage services can also prevent your business from accepting shipments that commit customs fraud. There are many common ways a company could fail to accurately represent their shipments by mistakenly declaring them. The undervaluation of goods is a serious offense because it attempts to lessen the fees paid to the importing country. Other common instances of fraud include the misclassification of goods and incorrectly marking the country of origin. Although the North American Free Trade Agreement (NAFTA) streamlines the ability of companies throughout the United States, Canada and Mexico to engage in trade with one another, there are still existing rules, regulations and procedures that must be followed. If a business sends goods under a NAFTA Certificate of Origin, all goods within the shipment must qualify under NAFTA. Problems with the certificate or the goods could result in fines, penalties and delays of shipment. Customs brokers are familiar with all of the requirements that must be met when importing goods from Canada or Mexico. 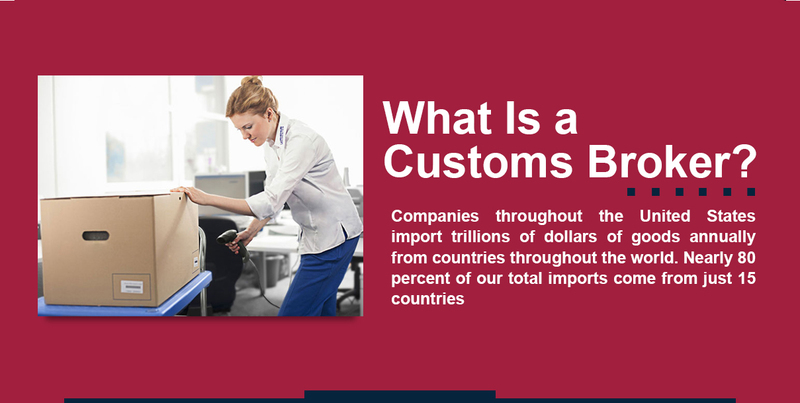 Swift customs clearance is another benefit a customs broker can offer your business. A licensed international customs broker will facilitate customs clearance for imports into the United States. One aspect of this process that brokers are familiar with is a potential need for goods to be qualified as “formal entry” or “informal entry” shipments. The CBP requires shipments qualifying as formal entry goods to provide a surety bond, complete additional forms and pay a Merchandise Processing Fee. Collaboration is essential for growth and plays a key role in the success of a company, especially one that conducts business across a spectrum of legal, financial and geographical areas. Employing the services of specialized companies to handle complex responsibilities isn’t a cost — it’s an investment. Partnering with a third-party logistics company that performs customs brokerage services allows your business to acquire the knowledge, resources and technical expertise of those who have a thorough understanding of how to attain the goal you wish to achieve. As a global forwarding company within the Rockfarm family, Global Distribution and Logistics can help you responsibly manage your international shipping and distribution supply chain. All of our full-service operations are conducted in-house by highly trained employees who have the technical knowledge and innovative resources available to provide your business streamlined international shipping solutions. With a commitment to managing your supply chain with transparency and efficiency, Rockfarm delivers exceptional service. Customs Brokerage Services: We are a licensed customs broker that can simplify customs clearance by helping you streamline your supply chain. We’ll ensure that your shipments meet all of the changing regulations and trade conditions to prevent inconvenient delays. We can also calculate your total customs costs to help you accurately budget these expenses and remain in compliance. By reducing costs and improving efficiency, we will help you increase profitability and customer satisfaction. Global Freight Forwarding Services: We can ship your goods to their destination quickly, reliably and safely by land, air and sea. We’ll transport your shipments across oceans and over international borders via highways, railways and airways. If you need a dedicated fleet service, we’ll provide you with the resources you need, which includes insuring all of your shipments during intercontinental shipping, inland transportation and throughout the drayage process. Distribution Management: Working on a global scale, we’ll streamline the process, infrastructure and technology used to get your goods to your client as swiftly as possible. Depending on distribution needs, we offer consolidation or deconsolidation of your shipments to deliver them to your customers in the most efficient manner, which includes flow-through services designed to decrease your handling costs. If your business requires warehousing services, we can offer a comprehensive package that handles the picking, packing, kitting and labeling of inventory. Product Sourcing: We can also provide you with assistance in sourcing all of the goods you ship. From supplier and purchase order management to product testing, we’ll help you source high-quality products from reliable suppliers that deliver orders in a timely and compliant manner. Global Distribution and Logistics offers a range of other global supply chain services that cater to the unique needs of your business. Since 2008, Rockfarm has been the trusted supply chain solutions provider for clients who require a single source to manage the sourcing, shipment, transportation and delivery of goods across borders. We’re dedicated to developing innovative solutions that keep your company moving forward. For more information about our licensed customs brokerage services, or to learn more about our other global supply chain solutions, we invite you to contact us today.